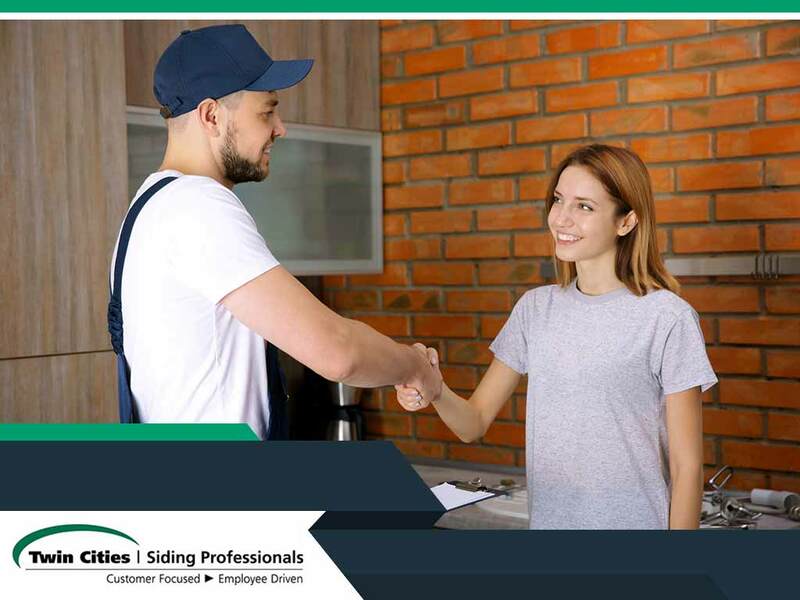 Siding installation is a complicated process, but with Twin Cities Siding Professionals, it doesn’t have to be – and our past clients certainly agree. Let us share an overview of what happens during one of our service calls. The process begins when you schedule an appointment. We arrive on time for your scheduled consultation and conduct an inspection of your home’s exterior. We then discuss what you want to achieve with your project and start developing a plan. We will then take accurate measurements and discuss product options and the budget. Our planning team then creates a detailed project plan that includes a complete design and the accompanying budget. We will then conduct a second meeting to present the project to you, which can be done in your home or at our showroom. Every aspect of the project will be discussed, down to the style and colors of the James Hardie® siding that will be installed. We will work with you in tweaking the project plans into the one that will ultimately be used. You will then be given absolutely no pressure when the contract is drawn. Once you have greenlit the project and signed the appropriate paperwork, we begin the preparations, including working out the installation schedule, acquiring the necessary permits and ordering the materials. Your project will then be completed by our talented installation specialists, and you will be kept up to speed every step of the way. Upon completion, you will be given a tour of the changes that were made, all subject to your final approval and satisfaction. We aim to provide the best service, which is why client feedback is important to us. You will receive a brief survey, conducted by an independent survey company, a few days after the project. We appreciate honest feedback more than anything as we want to provide the highest level of customer service that our clients deserve. We also follow up with our clients periodically during the 10-year warranty period to make sure that our work continues to meet your approval and expectations. Twin Cities Siding Professionals is the siding contractor that you can trust for your exterior remodeling needs. Give us a call at (651) 967-0873, or fill out our contact form. We serve clients in Minneapolis and surrounding areas.